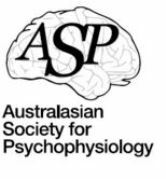 The 25th annual conference of the Australasian Society for Psychophysiology will be held on the 2nd - 4th of December 2015 in Sydney, Australia. The conference is the premier scientific forum for psychophysiological research in the Australasian and South East Asian region. The conference will be hosted by the University of Newcastle at the university's new Sydney campus located in the heart of the central business district of Sydney. We offer a unique and friendly scientific forum which actively promotes scholarship and scientific rigour in all fields of psychophysiological research. You will have the opportunity to learn about the latest research developments as well as interact with both experienced and emerging researchers as well as graduate students from the region. The society traditionally encourages submissions from post-graduate students, post-doctoral researchers and early career scientists. In this our 25th year we welcome submissions from all fields of psychophysiological research including, social psychophysiology, cognitive neuroscience, biological psychology, sports and exercise psychophysiology, sleep behaviour and fatigue as well as psychophysiological research in sensation and perception, psychopathology, development, memory, learning and emotion. The society also encourages submissions in the emerging and applied fields of psychophysiology including neuromarketing, biofeedback, user experience and human factors research. Timothy Budd, University of Newcastle, Ourimbah, Australia.